Europe's number one retailer for beauty. We are the ultimate destination for hair, beauty, skincare and all things gorgeous. With over 14,000 products from more than 350 brands across hair, make up, skin care, nails, electrical, fragrance, health, home fragrance and organic, we have something for everybody. 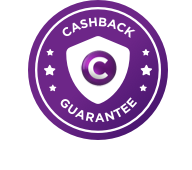 Shop at lookfantastic Australia through Cashrewards to earn Guaranteed Cashback and find the latest coupon codes on all your hair, beauty and skincare products. Cashback is not payable on delivery charges. Cashback will not be paid on the purchase of Gift Cards.